Francois Lanzi was born in Corsica and studied art in Paris under Guillot de Raffaillac. 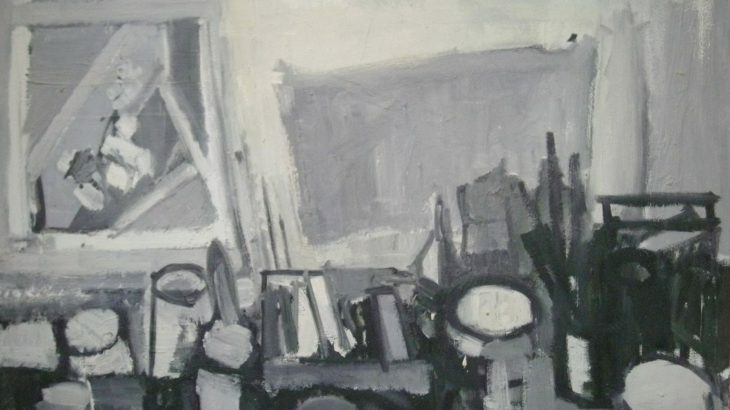 A prisoner of war from 1940-45, he came to live in the UK in 1954 and exhibited at a number of London Galleries including Redfern Gallery 1957, Royal Society of British Artists Gallery 1959 & 1960, Savage Gallery 1961 and Royal Academy 1965. Lanzi also had a number of exhibitions at the Artists International Association (AIA) in Soho, notably a solo exhibition in April-May 1967. In addition he showed in the provinces, including Stone Gallery at Newcastle in 1961. 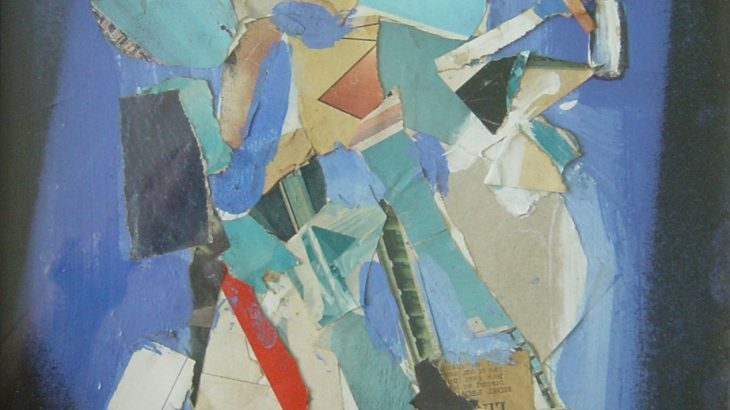 A promising career was stymied by Lanzi becoming a virtual recluse from the 1960s, although he continued to paint and produce collages throughout his life at his Chiddingfold, Surrey home. A major retrospective was held in 1994 at The Gallery in Woking. Lanzi’s work was in the ICI collection and is in a number of private collections in Britain, France and the United States. Theo Mendez was an artist in oil, acrylic and collage who was born in and lived in London. He studied at Camberwell School of Art, 1950-7, and at London University 1957-8. Teachers included Martin Bloch and Michael Rothenstein. Mendez taught at Camberwell 1958-84, becoming head of textiles in 1976, before retiring to paint full-time. 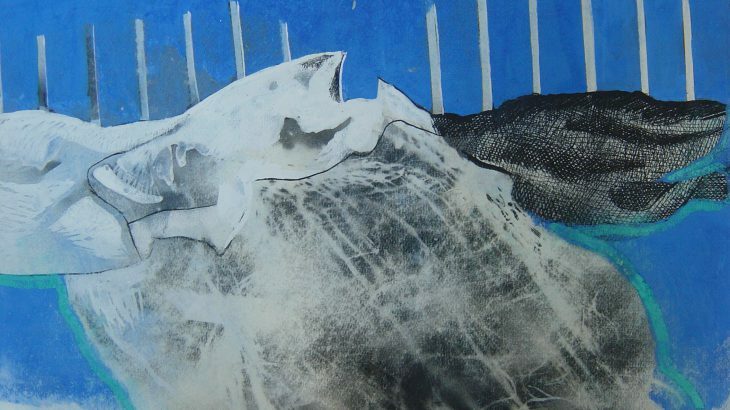 He took part in group shows at Redfern Gallery, Victoria & Albert Museum, Bear Lane Gallery in Oxford and Arnolfini Gallery in Bristol, and in the 1972 and 1979 John Moores Liverpool Exhibitions. 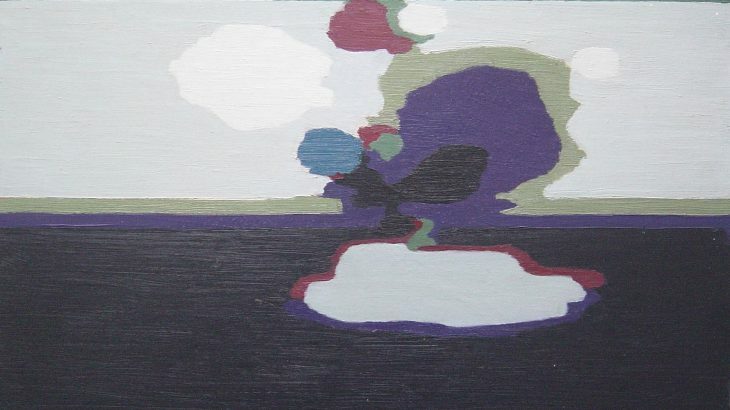 Retrospectives included Duncan Campbell Fine Art in 2002, four solo shows at Highgate Fine Art and an exhibition of his early oils at Whitfield Fine Art, London in 2010. Museum of London holds his work. Mendez frequently visited Paris, soaking up the atmosphere in cafes and getting inspiration for new paintings and collages and a trip to New York in 1980 added breadth to his vision. In 1990 Mendez wrote about his painting “It is not representational or literal .. but sometimes symbolic of an event or place witnessed, felt or experienced … a moment in time. Each work must ultimately stand by itself without being part of a series or having a title or clue as to its origin. I love the variety of the medium, the spreading of colour and the interaction of colour and colour areas …sometimes the work comes almost directly via music, to which I listen constantly – several hours every day, like food and drink. It is essential if I achieve anything at all, it has, for me, to stand lasting contemplation”. Bryan Organ was born in Leicester and studied at Loughborough College of Art 1952-5, then the Royal Academy Schools 1955-9. His first one-man show was at Leicester Museum and Art Gallery in 1959 but from 1967 he had a series of solo exhibitions at Redfern Gallery, London. He also had solo shows in New York, Cologne, Sao Paulo and Turin. Organ became known as a fine wildlife artist and a notable portrait painter – his painting of Diana Princess of Wales, in particular, was highly regarded. His work is in many public collections in Britain and elsewhere, including the Tate Gallery, National Portrait Gallery and Whitworth Art Gallery Manchester. Frederick Lund Ottesen was born in the United States and studied at Pennsylvania Academy of Fine Art before joining Braque’s Atelier in Paris in 1938. He exhibited at the Galerie des Quatre Chemins and, after war service, returned to Paris. He became friends with Hans Hartung and, influenced by him, turned to abstraction and showed extensively throughout Europe in the 1950s and 1960s. He was affiliated with the prestigious Galerie Coard in Paris and Downtown Gallery in New York and had a first UK solo show at the Leicester Galleries, London in 1966. He also showed at Blomquist Gallery, Oslo and Galeries Tedesco and Quatre Chemins in Paris. Ottesen’s work is held by Syracuse Gallery, USA and Musee National d’ Arte Modern in Paris. Fra Roberto was born in Bellinzona in 1933. In 1954 he joined the Order of the Capuchins, the same year in which he began to paint. Self-taught, he attended the Lugano artist Filippo Boldini’s studio and in Basel he was taught stained glass techniques by Hans Stocker. From 1954 to 1966 he lived in the Capuchin convent of Faido. 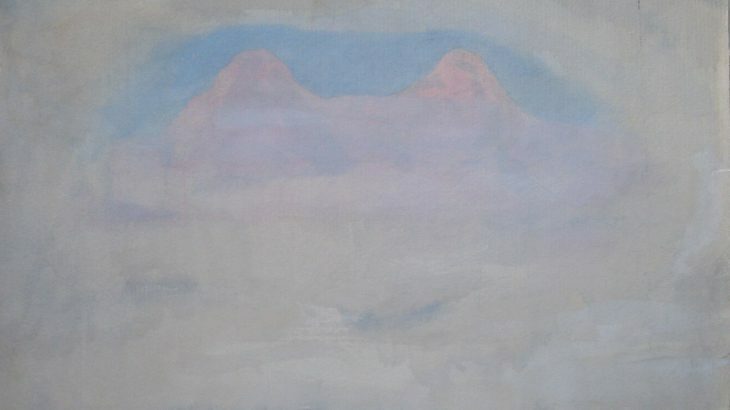 Since 1966 he has been in charge of the Convent of Bigorio, His paintings and stained glass works, which in later years have been more representational than abstract, have been exhibited on numerous occasions, mainly in Switzerland and in Italy but also in Greece, in both mixed and solo shows. Remo Salvadori is one of the leading members, along with Enzo Cucchi, of the Italian Transavantgarde movement (essentially Italian neo-expressionists) and experiments in a wide variety of media. He was born in Florence but later settled in and continues to work from Milan. Salvadori has shown widely internationally, including exhibiting in the US, Canada, France, Poland and Japan. His work is held in public collections in Italy, Belgium and elsewhere. He represented Italy at the 1973 Paris Biennale, Documenta 7 in Kassel in 1982 and the Venice Biennale in 1986. One of the more interesting recent exhibitions was his inclusion in the opening show for Tokyo’s prestigious MORI Art Museum October 2003-January 2004. He was included in the Arcadia section of the show ‘Happiness: a survival guide to art and life’ along with Constable, Matisse, Gaugin, Henry Moore and Cy Twombly. Rudolf Helmut Sauter (often known as R H Sauter) was a painter, printmaker, illustrator and poet, son of the artist George Sauter. He was educated at Harrow School, studying art in London and Munich, his father having come from Bavaria. Sauter had strong literary interests, being a member of the writers’ club PEN; he illustrated a definitive edition of works by his uncle John Galsworthy. Sauter showed at the Royal Academy, Royal Institute of Painters in Watercolour, Pastel Society, in the provinces, at the Paris Salon where he gained an Hon. Mention, and widely in the United States. Had one-man shows in London and New York. 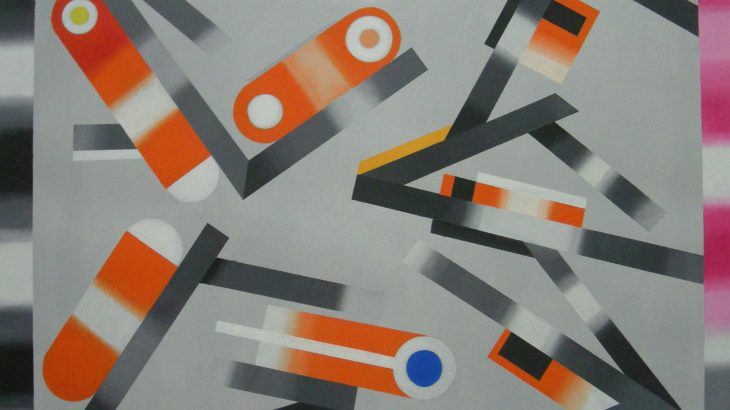 Although Sauter’s work is mainly figurative, in later life he did a series of abstracts. Many of Sauter’s paintings were destroyed by a fire in the 1980s but National Portrait Gallery, Government Art Collection, Royal Watercolour Association and Ferens Art Gallery in Hull hold his work. Cornelia Parker chose a 1935 Sauter portrait as part of her hang of the Government Art Collection at the Whitechapel Art Gallery in 2011. Ulrico Schettini was born in Cosenza, in the Italian Marches. After studying art at Pesaro, Paris and Rome he settled in England in 1958. An academically-inclined artist, during the 1960s and early 1970s he lectured at Hull College of Arts and Crafts, Carlisle College of Art and Design, Hornsea College of Art, the City Literary Institute and King’ College London. He worked in New York in 1964 and from 1966-71 lectured annually in America under the auspices of the Association of American Colleges. Schettini’s early work was fiercely modernist, being “emotionally powerful” and displaying a chromatic austerity that “blends a basic outline of form with a free graphic improvisation within that form” (Art News and Review Jan 1959). Critics at the time equated his art with modern jazz movements. 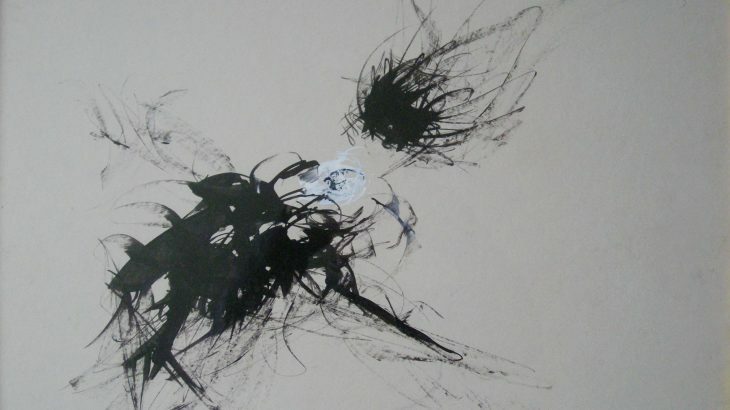 From the mid-1960s Schettini began producing more figurative work, in a strong expressive, dark style. Schettini first solo exhibition was at the experimental New Vision Gallery in London in 1958, followed by one in Newcastle. 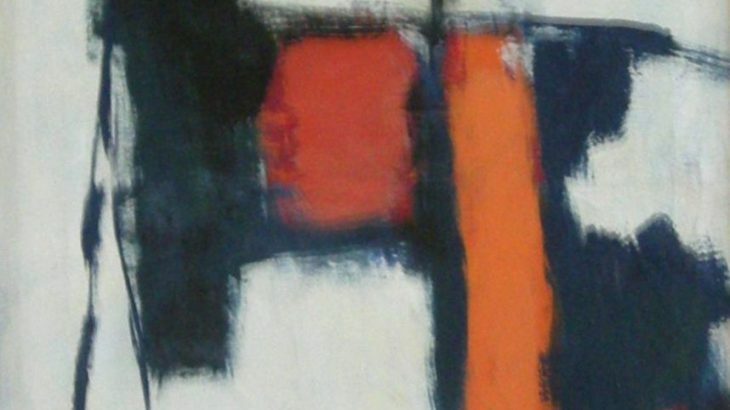 He then exhibited in London at the Drian Gallery in 1959 and the Institute for Contemporary Art in 1961. He had group shows in London, Paris and Milan and then had a major retrospective exhibition at the Municipal Art Gallery, Hull in 1966 which attracted international attention. About this time, though, despite the acclaim, he destroyed many works and disappeared to Italy to find himself again as an artist. He took ‘Montefiore’ as his professional name in homage to two potters he worked with there. 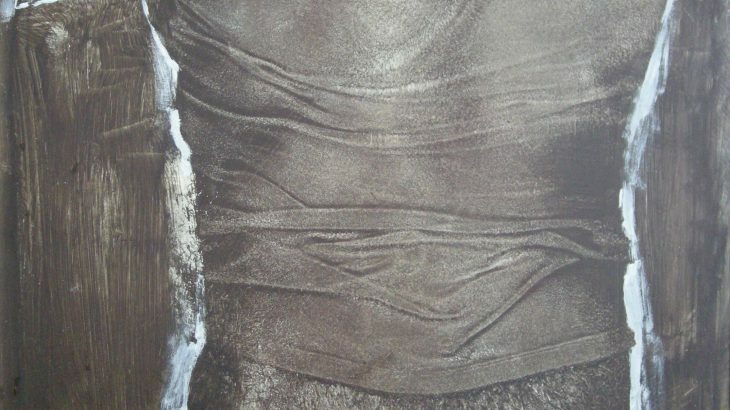 A large exhibition of his subsequent work, which now included many ancient and archaeological influences, was given at the Café Royal, London in 1972 and a still more important exhibition at the Palazzo della Permanente, Milan in 1974. Wildensteins in New York also sold his work. Montefiore moved back to Italy in the 1970s and continues to exhibit there. His work underwent another dramatic shift in the 1980s. He turned to a wider variety of media – he is currently working on stained glass, metals and ceramics as well as painting – and shifted entirely to representational art. The main motive behind this was religious and he now mainly concentrates on large-scale commissions for Catholic institutions in Peru, Spain and Italy. He taught at the Academy of Fine Arts at Brera, Milan. 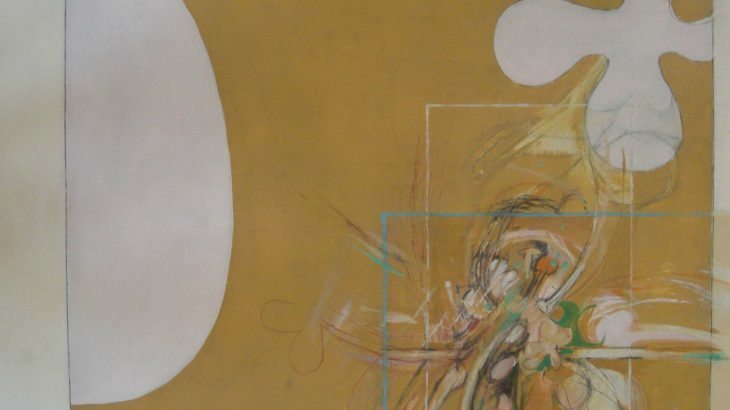 Schettini’s work is held by Northwestern College, Orange City in Indiana and California University of Pennsylvania, South Australia House, London and other public collections. Reinhardt Schuster was born in Bod (formerly Brenndorf) in Romania in September 1936, part of the German diaspora left stranded by the changing borders in the early-mid 20th century. He studied under Hans Mattis Teutsch at Brasov (Kronstadt) and then attended Bucharest Academy of Art. After completing his studies in 1964, and after a period as an art teacher at the F. Schiller Institute in Bucharest, he became a full-time artist in 1967. He came to prominence in the early 1970s, working initially in a Germanic expressionist style but increasingly moving towards the abstract. He had solo shows throughout the 1970s in Romania, as well as representing Romania at the Biennale. He also showed in Japan, Germany, Russia and, in 1981, at the Romanian Academy in Rome and London. In 1973 he had a group exhibition in Austria and then 1975-76 took a touring show of his paintings to Bonn, Bad Gedesberg, Stuttgart and Dinkelbuehl. His success in West Germany encouraged him to settle in Dusseldorf where, from 1985, he lectured at the art college. However, Romania continues to claim him as one of its foremost artists and in 1996 held a solo exhibition of his work in the Bucharest National Theatre which also toured to Brasov, Sibiu and Timisoara. A major retrospective was held in 2001 in Dusseldorf to celebrate his 65th birthday. Schuster’s work is held in public and private collections in Switzerland, UK, Austria, Japan and USA in addition to Germany and Romania. Jack Smith was born in Sheffield, before studying at St Martin’s School of Art 1948-50, Royal College of Art 1950-3 and then settling in London. He showed at Beaux Arts from 1953, initially painting in a neo-realist ‘Kitchen Sink’ style. But from the mid-1950s he became more interested in the play of light on shapes and eventually became a meticulous abstractionist. Smith taught at various colleges and in 1956 won first prize at the John Moores Liverpool Exhibition, by which time he was also showing in the United States. Major exhibitions included retrospectives at the Whitechapel Gallery in 1959 and Serpentine Gallery 1978. In more recent years Smith was represented by Flowers East Gallery in London. The Tate Gallery, Arts Council, British Council and many provincial and foreign galleries hold his work.